On the 27th Dec 2018, the ITA decided to uphold the motion to call direct action over the decision made by the Camden Council to restrict access to licensed taxis using Tottenham Court Road between 07h – 19h. The decision is in response to concerns by officials that the security risk could rise if the area became ‘over populated’. The point must be emphasised that whilst the ITA considers statements that pertain to a compromise in safety, we will always question and research the legitimacy of that statement. Flawed congestion zone data is used that does not differentiate between unique “one off” entries and multiple entries which in the course of a single shift we do numerous times. There are 87’466 private hire vehicles licensed in London, and Camden Council plan to displace 22,500 public service vehicles into existing traffic. We should remind Camden that Taxi customers are pedestrians at all other times. London’s road transport also negatively impacts the capital’s economy through rising congestion. We assume that Camden has no policies in place to manage increased impact on other routes. This is the rational counter argument, but the truth is, only 8 seconds per sixty minutes would be added to bus journey times if taxis were to be allowed unrestricted access. Average car speeds (7 -19h) average 8 mph with speeds in central London significantly lower still. Slower speeds mean greater delays and unpredictability in journey times, leading to higher economic costs and an increase in carbon emissions from an estimated £5 billion in 2013 to over £10 billion in 2030 (CEBR 2014). 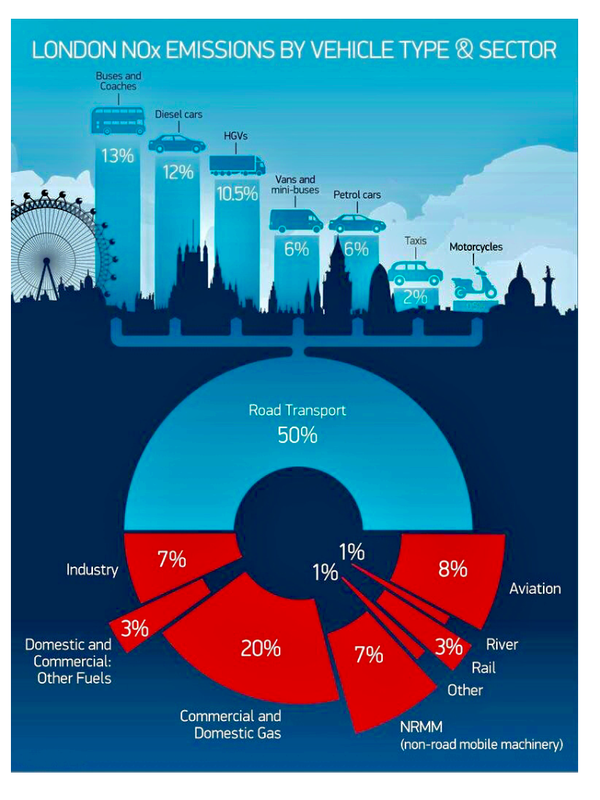 Significantly, London’s hybrid buses operate for the majority of the time from the diesel tank. As a result, drivers are being forced to buy an electric £60,000 cab in order to “clear up London” blaming increased pollution on a cab fleet that has remained static over 2 decades is ridiculous. Where then is the incentive for the trade to shift over to being fully electric. Camden will argue once again that it is not their responsibility to ensure taxis convert to electric but reality is, the displacement of motor traffic is presenting itself as a real issue but rest assured, on paper, the Traffic An alarming increase in bus crashes in London over the past four years is revealed today. There were 28,035 collisions in the capital last year, according to new figures — about 5,000 more than in 2013. Nearly 14,000 collisions have been recorded in the first six months of this year. 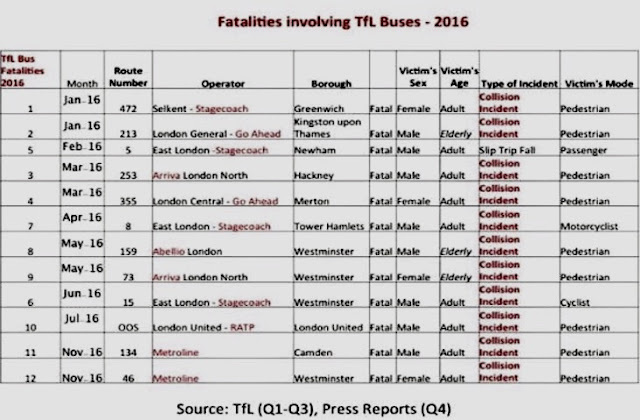 Twenty-seven people have been killed in what are described as “collision incidents” from January 2015 to June this year.Order for TCR will not concern itself with increased NOX readouts on peripheral routes. Further, Tottenham Court Road (TCR) and road traffic restrictions implemented at Tavistock Place. 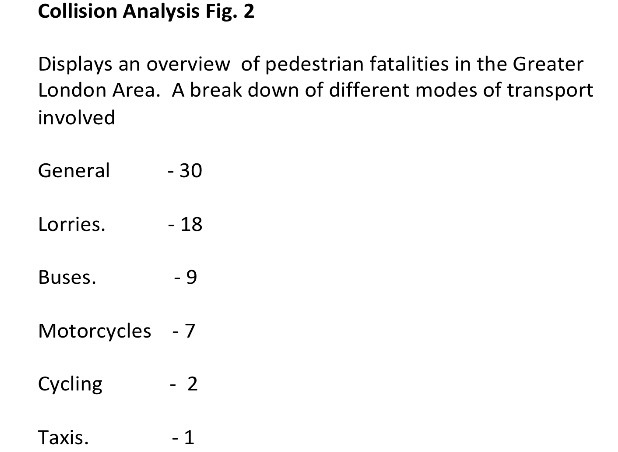 The TCR /Gower Street location is listed by Camden as one of the worst locations in the borough for collisions, with 259 casualties in the three year period from 1 August 2011 to 31 July 2014. Both the Met and Camden Council referenced data that did not identify Taxis separately from PH even though subsequent data shows that no licensed taxi was involved in a serious collision during that time. We refuse to wilfully accept that London's highly trained licensed taxi drivers should suffer the consequences brought about by 87,000 untrained PHV drivers? Camden might consider it permissible, and if so, their decision to restrict taxis has little, if anything at all, to do with safety. It is unjust that official record books do not distinguish London's licensed taxi trade from an industry with an unprecedented number of revocation orders, and TfL should make this information freely available as opposed to having to submit an FOI to gain information. The licensing process of a taxi driver is vastly different from a PHD. Someone who has invested time and money developing a skill via a mandatory licensing process should not be burdened by the consequences of those who have chosen NOT to invest in any such training. Further, having regard to the characteristics of Black Cabs, the competent authorities could reasonably conclude that taxi access of to bus lanes is liable to enhance the efficiency of the London road transport system. If Camden think this is inconsequential, they should consider the report commissioned by The New Scientist in 2017 Researchers at Lancaster ran a three-day experiment taking 29 journeys from different locations around London. One researcher hailed a car via a well known app based service while another took a traditional black cab to the same destination, with the route left up to the driver. At the end of their trial, black cabs worked out faster, taking on average 80 per cent of the time. When you multiply that time saving by hundreds of 1000’s of journeys every single day, that amounts to huge efficiency savings. It’s ironic also, that at a time when the monopolisation of TfL’s franchise service is being rolled out there has been an alarming increase in bus crashes in London over the past four years. 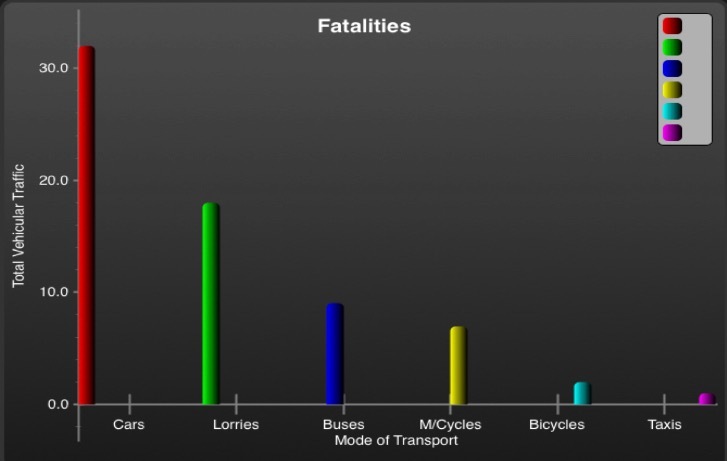 There were 28,035 collisions in the capital last year, according to new figures — about 5,000 more than in 2013. Nearly 14,000 collisions have been recorded in the first six months of this year. Twenty-seven people have been killed in what’s described as “collision incidents” from January 2015 to June this year. Assuming an observant position, we urge Camden to lead the way and resume negotiations with relevant trade groups. It is not the mark of a progressive or democratic process to dismiss trade representatives who’s advocacy to serve their members is far higher than that enjoyed by the policy makers. Neither TfL or Camden Council have provided satisfactory reasons why the public should be denied access – or ease of access- to the only door-to-door public service option available. The fleet also supplies the majority of the 2% of vehicles that are wheelchair accessible. 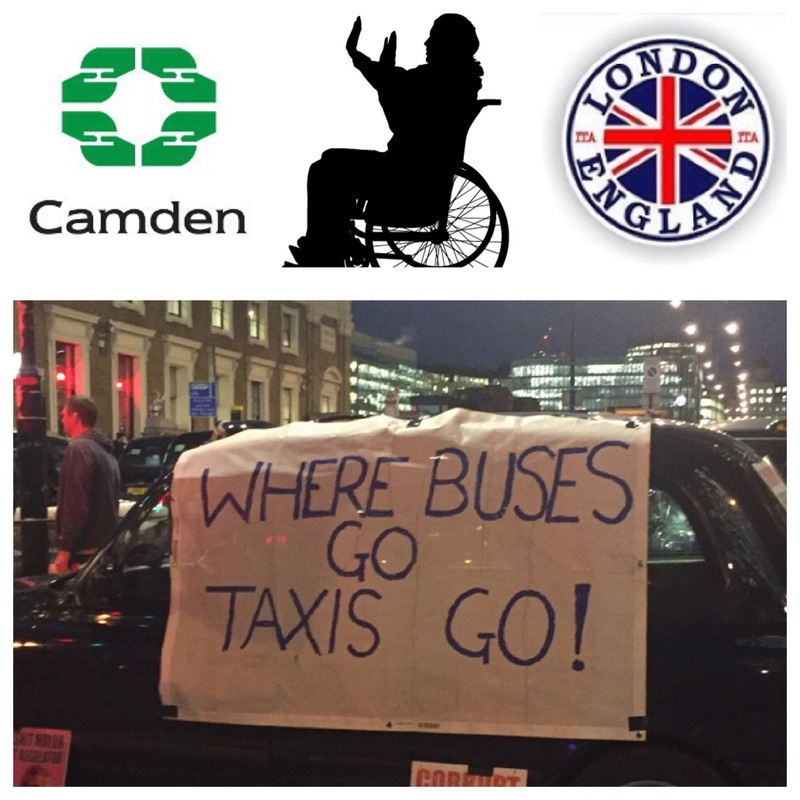 Camden will argue -and have done – that few visitors to the area who are wheelchair dependent use taxis, but that is not the point, the purpose built vehicle is such to account for safety and liberty, both attributes that were important not too long ago. Again, what provision has Camden provided for the infirm in society? We are not against the West End Project per-se, but considering all aspects, including Camden’s own consultation where the restriction on taxis wasn’t well supported, we call upon Camden to lift restriction on taxis forthwith. Remember when the RMT were going to get Labour to put forward an EDM to get a legal definition of Plying for Hire? So much for trade Union help. and more importantly, remember when the CONservative pm david cameron, the CONservative chancellor georgie boy osborne, and the CONservative mayor of london and our boss boris bunter, all let UBER into london to ruin our world renowned trade, for ever, less we forget it was the CONservatives who have royally fcuked us peoples, less we forget! CON by name, CON by nature!